In the 19th century, the Church of England was faced with the twin threat of non-conformism and Catholic emancipation, and it rose to the challenge wonderfully. The threat was greatest in the industrial towns, but also in those rural areas where changing patterns of population had resulted in some villages shrinking and others, often away from the parish centre, growing in population. Walpole Highway was the part of Walpole St Peter parish on the main road between the Midlands and the east coast ports, and inevitably it had become the busiest part of this otherwise sleepy parish by the middle of the century. 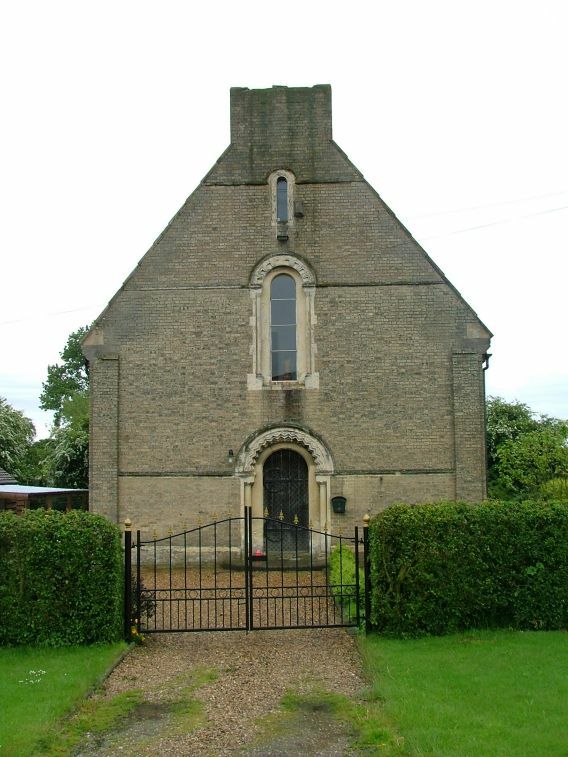 To counter any potential enthusiasm of the residents for Methodism (Papists were obviously a lost cause), St Edmund was built in the 1840s as a chapel of ease to the massive mother church at Walpole St Peter. The tide of religious enthusiasm has receded, and we all have our own means of transport, and so there is no need for an Anglican church at Walpole Highway anymore. It has been sold off to become a pleasant-looking private residence. And, of course, St Edmund was one of hundreds of similar churches all over England, and one of quite a number even in Norfolk. But it was, as Pevsner observes, a remarkable church in its own way. 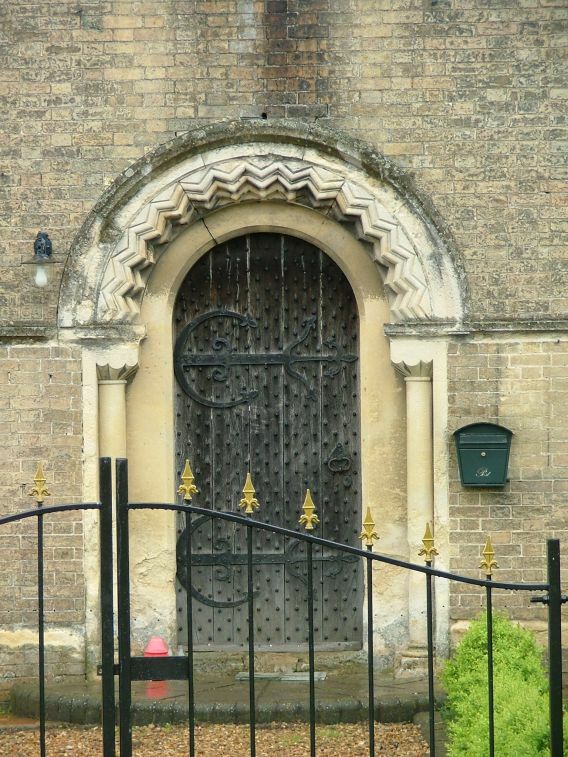 The architect was JC Buckler, who we have previously met nearby at Welney. 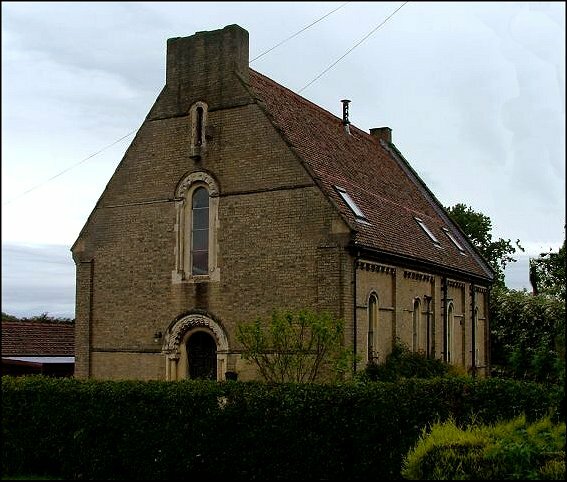 What might have been an otherwise conventional yellow brick chapel has been lifted out of mediocrity by three unusual aspects. Firstly, as early as 1844, Buckler used here a sophisticated Norman styling. Nineteenth century Norman can be excrutiating, but here Buckler pulls it off with aplomb, a magnificent Norman doorway at the west end being echoed in arcades of windows to south and north. Secondly, the windows themselves were by the great William Wailes, working here at the start of his career. These are no longer in situ - I wonder where they are? Also presumably no longer in situ are the furnishings, the third factor that made this a remarkable church. The Rector of Walpole, Arthur Moore, was a carpenter. Here, at the very start of the Ecclesiological movement, he was designing and making benches and a screen in a 15th century style. It would be very interesting to see them, wherever they are today. St Edmund's bell gable has now been lost, making the west end appear rather stark. But the building itself remains as a testimony to that exciting time in the 1840s when anything seemed possible.